Vision problems in children are uncommon, but when they do occur they often go undetected. Young children may not realize or be able to communicate that their vision is impaired, and even older children may not notice if the vision in only one eye is affected. Good vision is key to a child’s physical development and every parent wants their child to have perfect vision, so how often should children have eye examinations to make sure their eyes are healthy? An eye doctor, pediatrician, family doctor or other trained health professional should examine a newborn baby’s eyes and perform a red reflex test (a basic indicator that the eyes are normal). An eye doctor should perform a comprehensive exam if the baby is premature or at high risk for medical problems for other reasons, has signs of abnormalities, or has a family history of serious vision disorders in childhood. A second screening for eye health should be done by an ophthalmologist, pediatrician, family doctor or other trained health professional at a well-child exam between six months and the first birthday. Between the ages of 3 and 3½, a child’s vision and eye alignment should be assessed by a pediatrician, family doctor, ophthalmologist, optometrist, orthoptist or person trained in vision assessment of preschool children. 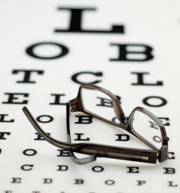 Visual acuity should be tested as soon as the child is old enough to cooperate with an eye exam using an eye chart. If misaligned eyes (strabismus), “lazy eye” (amblyopia), refractive errors (myopia, hyperopia, astigmatism) or another focusing problem is suspected in the initial screening, the child should have a comprehensive exam by an Eye Doctor. It’s important to begin treatment as soon as possible to ensure successful vision correction and life-long benefits. Upon entering school, or whenever a problem is suspected, children’s eyes should be screened for visual acuity and alignment by a pediatrician, family doctor, ophthalmologist, optometrist, orthoptist or person trained in vision assessment of school-aged children, such as a school nurse. Nearsightedness (myopia) is the most common refractive error in this age group and can be corrected with eyeglasses. If an alignment problem or other eye health issues is suspected, the child should have a comprehensive exam by an Eye Doctor. For more information or to schedule an eye exam please contact us.